An extended 3 bedroom semi detached family home, with a rear garden in excess of 180ft, in the desirable village of Great Horwood. The accommodation is over two floors and comprises: Entrance hallway, sitting room, dining room, kitchen breakfast with pantry cupboards, a utility lobby, and ground floor cloakroom, on the first floor, three bedrooms and family bathroom. The property benefits further from its elevated position. EPC rating E.
White suite of low level w/c, wash hand basin, window to rear aspect, wall mounted 'Worcester' combi boiler. Wood laminate flooring, radiator, glazed double doors to rear garden. Wall mounted cupboards, space and plumbing for washing machine, radiator, window to side aspect, door to rear garden. Upvc double glazed window to front aspect, single shower cubicle, two built in cupboards, radiator. Upvc double glazed window to front aspect, under stairs storage cupboard, radiator. White suite of low level w/c, pedestal wash hand basin, panel with with mixer tap, towel radiator, Upvc double glazed window to rear aspect. 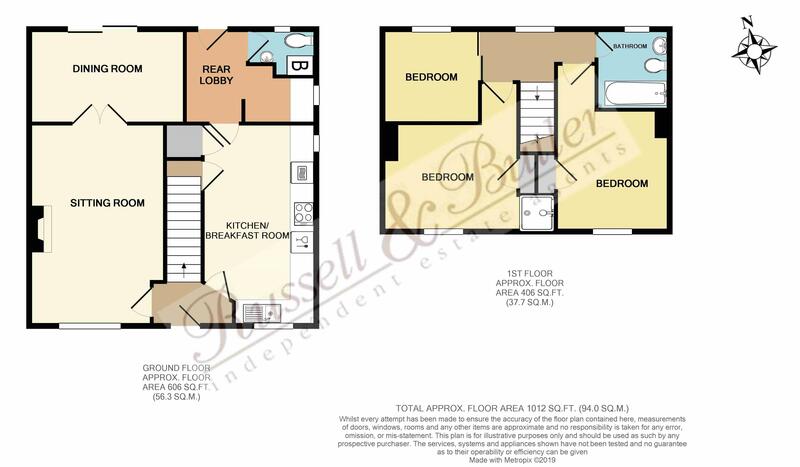 Laid to lawn, pedestrian access to property, allocated parking to front. Laid mainly to lawn, paved patio, timber shed and glasshouse, raised vegetable beds, established shrubs and trees, fully enclosed. Replacement fascia, guterage and down pipes. Council tax band C.